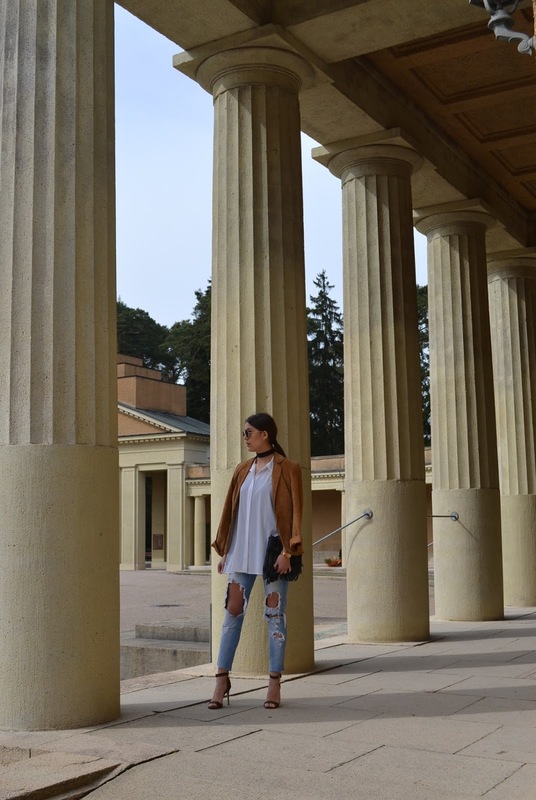 Ripped jeans have their own place in fashion history. Especially in the last two years they´ve become a must-have in every closet. the destroyed look completes every outfit . can create another gorgeous way to bring the look to perfection. to create a casual chic look. seit den letzten beiden Jahren jedoch sind sie wieder sehr angesagt. Ja genau die Mode ist ein sich wiederholender Kreislauf! Vieles was schon einmal im Trend war ist heute wieder ein must-have. der destroyed-Look rundet jedes outfit ab. das Outfit vervollständigt und somit ein casual-chic Look zustande kommt.